What kind of left bank do you want to have in the past, present, and future? Like riding a train passing through time and space, the 2008 ZUOAN (left bank) costumes in spring and summer show a true and imaginary scene. The new atmosphere of the left bank of the Seine in the 19th century, the yearning for freedom of urban street youth in the 21st century, and the variety of humankind's future world Fantasy and description... Through the blending and subversion of design techniques and new fabrics, ZUOAN (left bank) products were given a rational and innovative form in the spring and summer of 2008, and they infused individuality, diversity, and liveliness into the modern crowd's lifestyle. Experience and attitude. The memories of the past are still vivid, but the reality has changed the original order in silence. To relive the old dream and return to the past, it seems that it sounds like the nightmare of heaven. In fact, to commemorate the time that has passed, the global apparel industry has been squeezing retro style in recent years. The top brands have paid tribute to the classics, and this is no longer necessary. The astonishing new ZUOAN (left bank) spring and summer 2008 season was not only the use of nostalgic patterns and breakthroughs in tailoring, but also boldly adopting new materials such as memory yarns and microfibers to reproduce the elegant charm of ZUOAN (left bank) men. , to make old blurry images begin to become true, while bringing simple, practical information. "Technology changes our world and it also changes our lives." This is the slang from ZUOAN (left bank) in the spring and summer of 2008. It is a new material and high-tech fabric that brings comfort and style to a mature attitude. Wear to enjoy. For example, the introduction of functional fabrics represented by memory yarn not only adds unique qualities to the ZUOAN (left bank) new products for the spring and summer of 2008, but also provides special wrinkle-resistance, non-ironing function and fashion appearance for the fabric itself, which is more convenient for modern consumers. , efficient clothing finishing methods. Fabric Tips:: Memory fabrics have a morphological memory function, that is, they can keep the fabrics in various states and remain unchanged, but they don't have any creases when they are shaken by hand, and they have a permanent free-ironing function; they are made of microfibers. Ultra-high density fabric, light texture, drape, soft and full-feel, light and easy to carry. Wash out the lead, return to the most essential self, let the eyes communicate with the world, let the heart and fashion talk. This is a different interpretation of the spirit of the left bank in the 21st century. It focuses on the concept of environmental protection, health, and sustainable development, so that "existence is reasonable" rises to a completely new level. 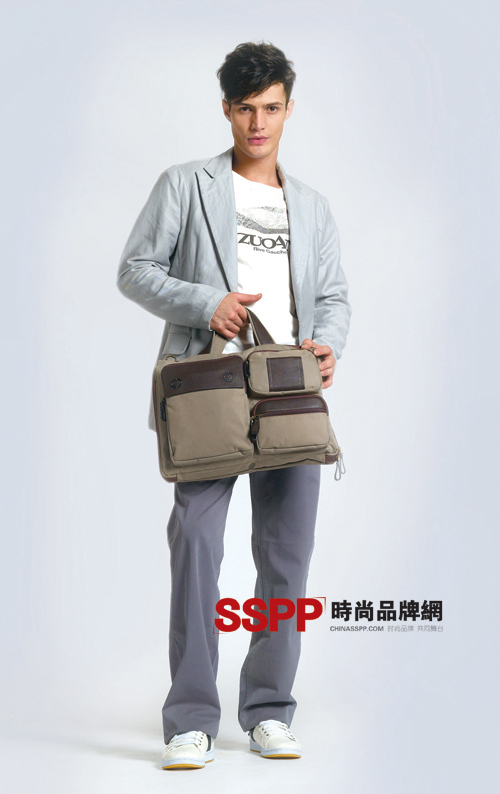 Since 2007, environmental protection has become the most fashionable public topic. "Lohas"ism is the name of the new urban fashion. A love for health, love of the earth, and a sustainable lifestyle are sweeping the world. The "ZUOAN (Left Bank) China Tour" with the theme of "Saving the Earth" has truly presented the specific ideological, cultural and spiritual aspects of the ZUOAN (Left Bank) - environmental protection is an important index for happiness and satisfaction in life. It means energy. The conservation and reuse of nature means that caring for nature means at the same time a kind of introspection and self-consciousness of modern people. ZUOAN (left bank) new spring and summer 2008 continues and refines its brand value orientation. The new main body made of cotton and linen natural fabrics, shirts, T-shirts, POLO shirts, and hemp thin jackets made of high-precision, high-density cotton, create a natural and comfortable feeling while promoting a healthy lifestyle and attitude. This affects more people to rethink life, re-examine fashion, and redefine fashion. Fabric Tips: The natural elements are on the center stage of fashion. With the return of the natural boom and the rise of the LOHAS family, the pursuit of apparel fabrics has also changed, with more eyes on natural fabrics. At present, natural fibers such as cotton, hemp, and silk, and interfiber blends are mainstream products that respond to market demand. Whether in London, Paris or Milan, "futurism" sweeps the fashion scene, but who can paint the future? In the spring and summer of 2008, ZUOAN (left bank) played an astonishing Rhapsody in a static language, like a time-warped and ambitious adventure trip. From the initial â€œexistentialismâ€ to the â€œfreedom chantâ€ to the â€œextreme left bankâ€ today, every time the style evolves, ZUOANâ€™s (left bank) costumes are clearly expressing their humanistic sentiments, a deep attachment to the culture of the Left Bank. And boundless space for future space. Trying to use a more modern profile in combination with fabric innovations is definitely a highlight of ZUOAN's new product in the spring and summer of 2008. In addition to the concise and handsome outline design, ZUOAN (left bank) new products in the spring and summer of 2008 also made a great fuss about the cool tone and the metal texture of the material. The massive use of metal wire fabrics has realized the imagination of the space age, and its unique fold characteristics. To further create the exquisite beauty of clothing. Fabric Tips: Metal wire fabric is a trendy fabric on the international market. It has a unique metallic texture and natural folds. The natural flash effect on the surface produces a strong visual effect. The metal wire contained in the fabric also has the function of shielding electromagnetic waves and is beneficial to human health.